God's Word cuts through to the heart like nothing else can. No words of man can come close to the power of Scripture in drawing someone to Christ. 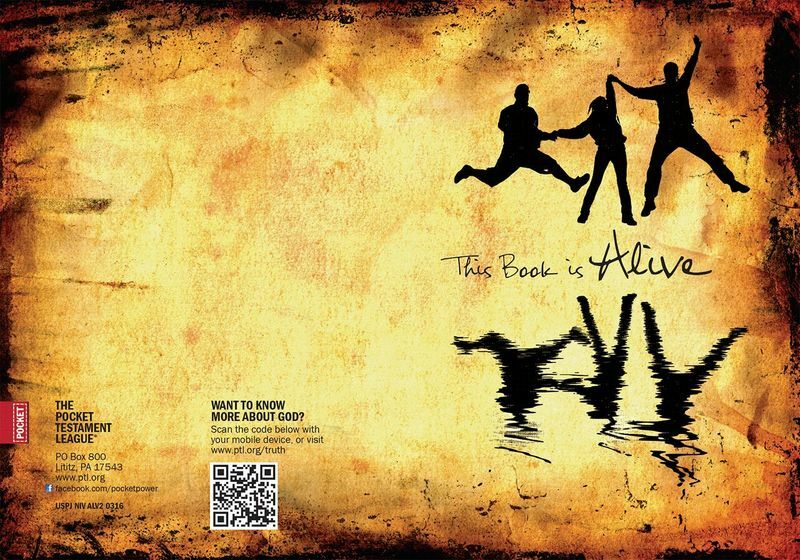 This cover features the headline "This Book is Alive," along with a youthful image to create interest about what's inside. The headline is emphasized further with a modern, stylized image of young people expressing their freedom through a coordinated jump. Shown is the front and back cover spread.